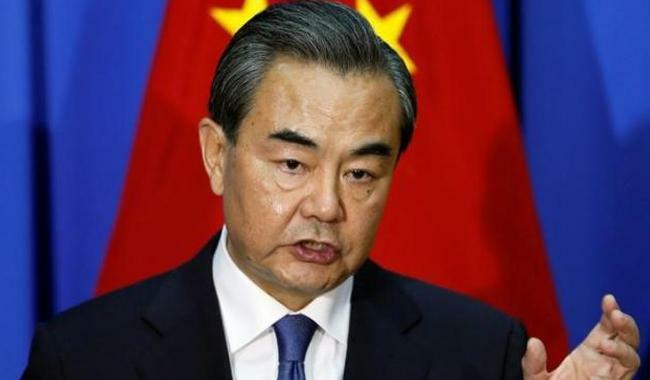 BEIJING: Chinese Foreign Minister Wang Yi has criticised South Korea's move to deploy an advanced U.S. anti-missile defence system to counter threats from North Korea, saying it harmed the foundation of their mutual trust, news reports said on Monday. The announcement by South Korea and the United States this month that they would deploy a Terminal High Altitude Area Defence (THAAD) unit has already drawn protests from Beijing that it would destabilize regional security. The decision to deploy THAAD is the latest move to squeeze the increasingly isolated North Korea, but China worries the system's radar will be able to track its military capabilities. Russia also opposes the deployment. "The recent move by the South Korean side has harmed the foundation of mutual trust between the two countries," Wang was quoted by South Korea's Yonhap news agency and KBS television as telling South Korean Foreign Minister Yun Byung-se. Wang and Yun met late on Sunday on the sidelines of the 10-member Association of Southeast Asian Nations conference of foreign ministers in Vientiane. Yun told Wang that the move was aimed at protecting South Korea's security and that it would not damage China's security interests, Yonhap said. South Korea and the United States have said THAAD would only be used in defence against North Korean ballistic missiles. North Korea has launched a series of missiles in recent months, the latest last week when it fired three ballistic missiles that it said was a simulated test of preemptive strikes against South Korean ports and airfields used by the U.S. military. The missiles flew 500-600 km (300-360 miles) into the sea off its east coast and could have hit anywhere in South Korea if the North intended, the South's military said. North Korea came under the latest round of United Nations Security Council sanctions in March after Pyongyang's fourth nuclear test in January and the launch of a long-range rocket the following month.